College tuition has risen four times faster than the rate of inflation in the past two decades. While faculties like to blame the rising costs on fancy athletic buildings and bloated administrations, professors are hardly getting the short end of the stick. Spending on instruction has increased twenty-two percent over the past decade at private research universities. Parents and taxpayers shouldn’t get overheated about faculty salaries: tenure is where they should concentrate their anger. The jobs-for-life entitlement that comes with an ivory tower position is at the heart of so many problems with higher education today. Veteran journalist Naomi Schaefer Riley, an alumna of one of the country’s most expensive and best-endowed schools, explores how tenure has promoted a class system in higher education, leaving contingent faculty who are barely making minimum wage and have no time for students to teach large swaths of the undergraduate population. She shows how the institution of tenure forces junior professors to keep their mouths shut for a decade or more if they disagree with senior faculty about anything from politics to research methods. Lastly, she examines how the institution of tenure—with the job security, mediocre salaries, and low levels of accountability it entails—may be attracting the least innovative and interesting members of our society into teaching. In The Faculty Lounges, Naomi Schaefer Riley, a former member of the Journal’s editorial-page staff, takes up the question of academic tenure—what it was intended to be, what abuses it now invites and whether it is a good idea at all. Along the way she addresses vital questions about higher education in America and its future—indeed, about the very idea of a university….The Faculty Lounges ends up being a provocative and even profound book, one that recommends itself to anyone who cares about higher education, especially anyone who is about to make a personal investment in it by signing a tuition check. Naomi Schaefer Riley, a former editorial writer at the Wall Street Journal turns in a lively, unsparing, and challenging look at many of the problems plaguing colleges and universities. You may not want to read it if you just wrote a big check for tuition. But if you want to learn more about higher education’s problems — such as tenure, adjunct teaching, academic publishing, and lousy incentives — as well as future trends like increasing unionization, then this is the book to read. Few people will agree with all of it, but higher education leaders must respond to the challenges the author lays out because The Faculty Lounges is the long-form version of conversations a lot of parents are having. While this book should be read widely on campus – especially by students – it also deserves to be read by others with an interest in the state of higher education. In particular, parents contemplating the college choices of their children, and trustees charged with governance will find that Riley has served up much food for thought. It will surprise no one familiar with her work that Naomi Schaefer Riley is not a fan of tenure. In recent years, the former writer and deputy Taste editor of the Wall Street Journal and author of the book God on the Quad has emphasized themes, both in writing and on panels, of what she sees as the damage that tenure can wreak. In her new book, The Faculty Lounges and Other Reasons Why You Won’t Get the College Education You Paid For (Ivan R. Dee), Riley fleshes out this argument, mostly through choice anecdotes, to buttress her view that tenure has become too costly to the enterprise and harmful to the quality of higher education (faculty unions come in for criticism, too, but that’s mostly confined to one chapter). In prose that is vigorous and readable…Riley maps out several facets of her critique. For Riley (God on the Quad), the problem with our university system lies with the concept of tenured faculty. Although allowing that ‘tenure is not the reason why college costs so much,’ Riley’s energies are largely devoted to arguing that ‘tenure… is eroding American education from the inside out.’ As a safeguard for academic freedom, Riley argues that there are areas of study where academic freedom is ‘an almost irrelevant concept.’ The path to tenure encourages ‘trivial research and publication,’ and once achieved, tenure means that professors ‘can simply neglect their students with little or no consequence.’ While ‘not the primary cause of the financial problems’ facing higher education, it is ‘one reason colleges will have such a difficult time digging themselves out.’ Tied with this harangue about tenure, Riley considers the ambiguous role of ‘industry-sponsored research,’ the problems faced by adjunct faculty, and the threat posed by unions. That ‘military schools and religious institutions are places where tenure is least prevalent’ is not an reassuring argument. In any event, according to Riley, ‘faculty off the tenure track make up about 70 percent of the total and [teach] more than half the undergraduate classes,’ which makes much of Riley’s quarrel tangential. Riley (God on the Quad: How Religious Colleges and the Missionary Generation Are Changing America) from the outset takes issue with the ‘lifetime job security’ enjoyed by tenured faculty and suggests that faculty who focus on getting tenure often ignore the institutional mission. She quibbles with the argument that tenure protects academic freedom and questions whether professors who teach ‘vocational subjects’ need those protections. Riley admits that the dire financial situation faced by many colleges has not been caused by tenure but argues that ‘tenured faculty are among the least concerned with an institution’s bottom line.’ The afterword provides a compelling snapshot of Franklin W. Olin College of Engineering near Boston, where the ‘culture of innovation’ precludes tenure of faculty members, the curriculum is overhauled every seven years, and present and past students are asked for feedback about the quality of their educational experiences. VERDICT This thought-provoking book will appeal to higher education administrators and change agents. Recommended. In 2008, the yearly tab for a four-year private college averaged some $27,000, up from $10,000 in 1980. An Ivy League education will break the bank further, at $38,000 a year- excluding bed and board. Where does all the money go? Some is easy to spot. There are the lavish sports facilities, gourmet cafeterias, posh dorms, and ever-sprouting new faculty buildings that have become commonplace on today’s campuses. But in her engaging new book, The Faculty Lounges, Naomi Schaefer Riley directs our attention, and her most discerning criticism, to higher education’s less visible expenditures: tenured professors….The Faculty Lounges is peppered with interesting facts, from a description of how colleges compete on university rankings, which privilege inputs (spending) over outputs (learning), to the outrageous cost to taxpayers of scholarly “work” ($50,000 per academic journal article, estimates a former statistical chief at the U.S. Department of Education). Engaging new book….The Faculty Lounges is peppered with interesting facts….Long before the end of The Faculty Lounges, one is left with little doubt that tenure is a worthy target for Riley’s unsparing exposition. In her book, Riley deconstructs the cause of such faculty longevity, taking on one of the most cherished perks of high education, tenure. She asks whether the awarding of jobs for life, often as a result of a professor’s research and publication in rarefied journals, leads to some faculty staying too long at schools and doing too little of what ought to matter most — teaching. It’s possible that Congress suspected what Naomi Schaefer Riley has tried to prove: that tenured professors have it much too good. That is the contention of The Faculty Lounges. Tenure isn’t the only reason that American higher education is losing quality, productivity and intellectual freedom. (Think unionization, price inflation, political correctness, academic faddism, bureaucratization, lengthening weekends, shortening semesters, nonexistent counseling, low completion rates.) But our universities and their students would be better off without it—and in this valuable and timely book Naomi Schaefer Riley does a brilliant job of explaining why. The issue of tenure lies at the heart of many the critical challenges facing higher education. Significant change cannot occur without the abolition of tenure. Naomi Schaefer Riley’s timely book addresses this contentious problem directly and insightfully and will provoke much-needed debate. Why do we have colleges? If your answer is educating young people, The Faculty Lounges has a wakeup call for you: they now exist to sustain the privileges of their permanent professors. Naomi Schaefer Riley deftly explodes the myths and mantras―academic freedom, faculty governance, the necessity of research―which protect this self-obsessed caste. –Andrew Hacker, Queens College; coauthor of Higher Education? A lively, no-holds-barred critique of tenure that even skeptical readers should take seriously. Riley makes a comprehensive case that a reexamination of faculty work roles in U.S. universities is inevitable – and desirable. The conventional liberal/conservative positions are scrambled and recast in this bold investigation of the effects of tenure on the modern university. 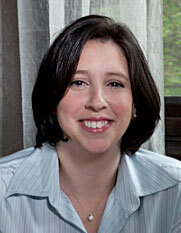 Naomi Schaefer Riley admirably lays the groundwork for a national discussion whose time has come. Naomi Schaefer Riley incisively and lucidly hits the nail on the head, showing us why academic tenure is a costly, inefficient, and unnecessary anachronism. This is a must read. Naomi Schaefer Riley nimbly picks her way through the tangled politics of tenure, arguing convincingly that the issue is heavily implicated in some of the most serious problems afflicting higher education. The Faculty Lounges is a shrewd and well-written book, sure to change the course of the tenure debate. Filling the critics’ brief is The Faculty Lounges, largely an attack on the US professoriate. Riley, a former Wall Street Journal editor, questions whether modern political scientists should be counted on to improve US government, compared, say, to the authors of the Federalist Papers that promoted the US Constitution. One might answer yes, as politics has changed in two centuries. In her eyes, the answer is a clear no. 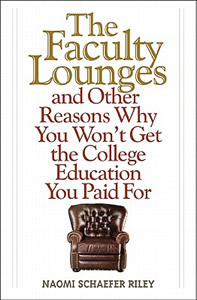 In a book published last month, The Faculty Lounges…And other Reasons Why You Won’t Get the College Education You Paid For, I argue that our system of higher education is focused too much on research and not enough on teaching. In fact, on 2005 study in the Journal of Higher Education suggests an inverse relationship between the amount of time spent in the classroom and a professor’s salary. It would seem that professors who spend their time writing are the ones most valued by our universities. What Riley shows is that vocation-oriented teaching, teaching beholden to corporations and politically inflected teaching do not square with the picture of academic labor assumed by the institutions of tenure and academic freedom. She says that, given the direction colleges and universities are going in, faculty members have little claim to the protection of doctrines that were fashioned for an academy that holds itself aloof from real world issues, either political or mercantile. I say, and have been saying for years, that colleges and universities should stop moving in those directions — toward relevance, bottom-line contributions and social justice — and go back to a future in which academic inquiry is its own justification. There is much that is useful in Riley’s book, including a discussion of how widespread use of adjuncts enables rather than contradicts the commitment to tenure, the suggestion that tenure is not appropriate in wholly technical fields, and especially the account of how unionization is beckoning on the campus scene. Riley’s study is very approachable for the causal reader.